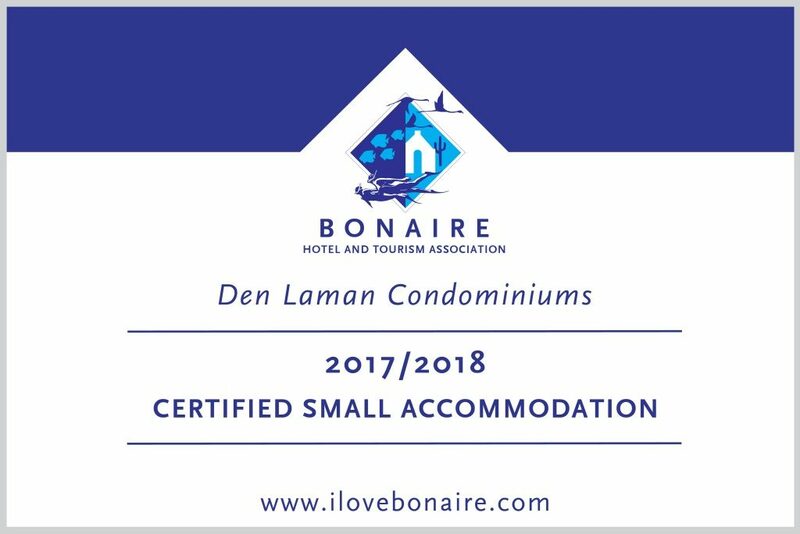 Den Laman received an official Certification from BONHATA as certified small accommodation (under 20 units)! The Bonaire Hotel and Tourism Association (BONHATA) is recognized by the National & Island Government and the Caribbean Hotel & Tourism Association (CHTA) as the official hotel and tourism association of Bonaire. Founded in 1980, BONHATA has been at the forefront of the island’s tourism industry for more than three decades.